Built in 1804 on a bluff overlooking the confluence of the Santa Clara River and Castaic Creek, the Estancia de San Francisco Xavier was an outpost of the Mission San Fernando. The estancia consisted of two long, narrow buildings measuring 107 feet by 17 feet, and 107 feet, 4 inches by 22 feet, 8 inches. They housed a granary, a kiln and a tiled sacristy. The 2-foot, 10-inch thick white-washed adobe walls were connected by a low wall capped by a mission bell. An "Old Milk House" was added some time before 1833, when the Mexican government secularized the Spanish mission lands in California. In 1839, Mexican Lt. Antonio del Valle took possession of the 48,000-acre Rancho San Francisco and made the estancia buildings its headquarters. Don Antonio died in 1841 and left the estancia to his heirs, who suffered financial setbacks and were forced to sell most of the rancho. 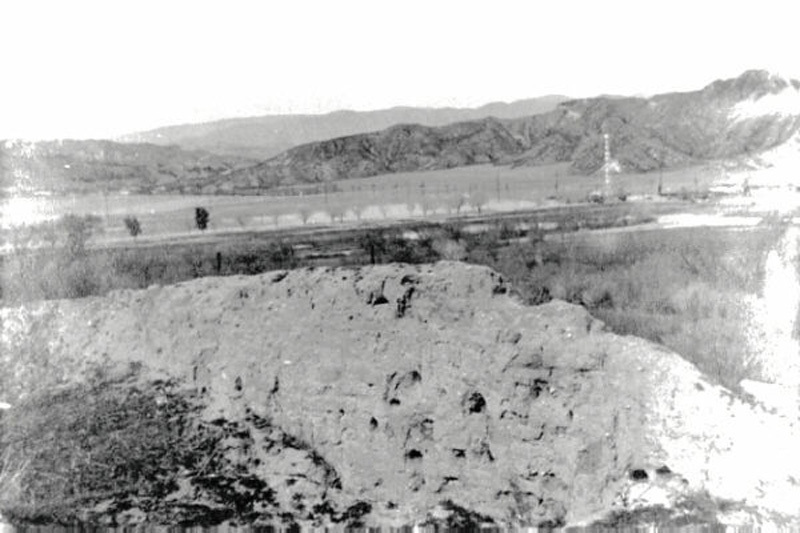 The estancia buildings fell into a state of disrepair and were destroyed in 1937 when vandals seeking fabled mission treasure tore up the tiled floors and adobe walls.